Are you ready for the next 60 years? The Stephen Foster Story is. Kentucky’s iconic outdoor musical in Bardstown wrapped up its 60th anniversary in 2018 and then immediately tore down the stage and adjoining buildings. Not to worry, though. 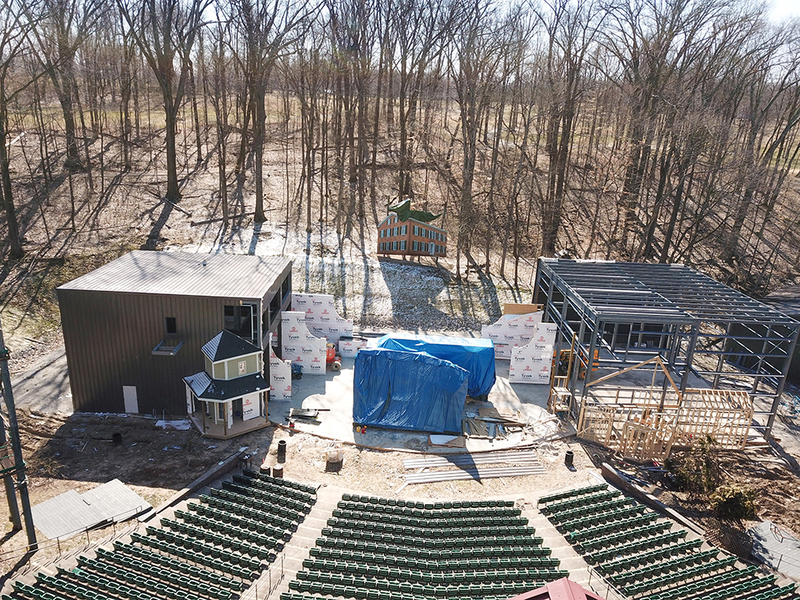 A new stage and buildings will be ready for the summer season, June 8–August 10, on select nights at 8 p.m. for the outdoor show (a 2 p.m. indoor matinee is also held at Bardstown High School). Fans made financial donations to ensure the popular musical would go on, according to Warren. The new stage and adjoining buildings duplicate the old ones, following the line and footprint so familiar to fans. This time, however, the stage was constructed from materials designed for outdoor use. Pre-engineered metal buildings were covered in metal sheeting and cement board siding. If you have a favorite seat, no worry there, either. Seating remains the same. The Stephen Foster Story captures the bygone era of the mid-19th century through song, dance and breathtaking costumes featuring over 50 of Foster’s greatest compositions, such as Oh Susanna, Beautiful Dreamer and Kentucky’s state song, My Old Kentucky Home. The season also includes the Broadway play Joseph and the Amazing Technicolor Dreamcoat, July 6–August 8, Thursday and Saturday nights at 8 p.m., sponsored by Salt River Electric. To purchase tickets, go to www.stephenfoster.com or call (800) 626-1563.